What personality traits do you need to be a successful beauty therapist? Creativity – You need to be able to think of new, creative and fresh ideas for beauty treatments. Adaptability – As a beauty therapist, you will have to have the ability to keep up with trends and to change your techniques to fit different styles. Friendliness – You have to be engaging and helpful towards clients and fellow staff members in order to establish a good reputation, to retain clients, and to foster a pleasant working environment. Technical skill – You need to have excellent hand-eye co-ordination. You also have to be able to work well with your hands, whether it involves cutting hair, performing a facial, or giving a manicure. You could become a beauty therapist’s assistant. You could work as a therapist at a health spa. You could look for work as a beauty therapist abroad. You could work on a cruise ship. 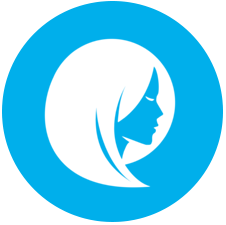 You could start your own beauty therapy salon or home business. You could specialise in a specific field, such as massage, and become a professional masseuse. You could work in the media, film, or fashion industry (where you could work as an in-house make-up artist, beautician, or hairstylist for a theatre, film company, magazine, newspaper, or modelling agency). You could become a sales representative for a cosmetics company. A good way to prepare for your career in beauty therapy is to combine theoretical training with practical experience. 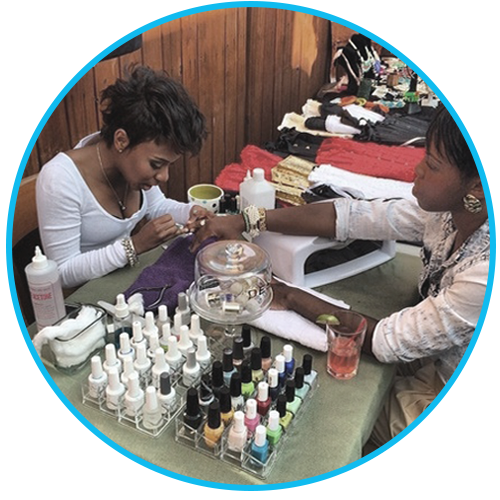 You could, for example, study a beauty therapy course via distance learning, while working as an assistant in a beauty salon to gain relevant experience and exposure to the practical elements of the work. The training that you need to become a beauty therapist will depend on what your career goals are: if you want to work as a professional make-up artist on film sets, you will need rigorous training from a recognised beauty school; if you want to work as a nail technician from your home salon, you will simply need to complete a nail care course that will equip you with the relevant skills. At Oxbridge Academy, we give you the opportunity to study a range of introductory beauty therapy courses that will give you the basic knowledge and skills that you need, either to study further in the field of beauty therapy, or to start working as a beauty therapist’s assistant or cosmetics sales agent. You can also study these courses to help you decide which area of beauty therapy you would like to specialise in. Beauty therapy is one of those industries where you are not limited to finding work in your own country. Many people who study in this field find that they are able to combine their careers with travelling abroad. Please note, however: Some countries have strict regulations for beauty therapists, and set high standards in terms of the qualifications that you need before you are allowed to practice in this industry. In some countries, you may even be required to obtain a licence from a professional body before you are allowed to start working. Therefore, if you want to work in the beauty industry abroad, you need to make sure that you understand all the relevant requirements, and you need to make sure that you will be able to satisfy them. An opportunity to gain valuable experience. An opportunity to meet different people from all over the world. Being away from home for extended periods of time. You must be at least 18 years old (some cruise lines will have higher minimum age requirements). You must hold a suitable qualification (this will vary from one cruise line to another). You must be fluent in English (all the major cruise lines require this, as English is the language mostly spoken on board by crew members and the majority of passengers). Please Note: An Oxbridge Academy skills certificate in beauty therapy will equip you with basic knowledge and skills in beauty therapy, but will not qualify you to work on a cruise ship. If you want to work on a cruise ship, you will need to build on this basic foundation by studying towards a formal qualification at a beauty school.